Kalymnos is a rocky little island belonging to the Dodecanese Islands of Greece in the Aegean Sea. Along the towering limestone cliff bands and impressive caves, small spiky shrubs and herbs predominate the landscape. There are only a few trees, just a smattering of olive and pine, with oleander bushes lining the small winding streets. 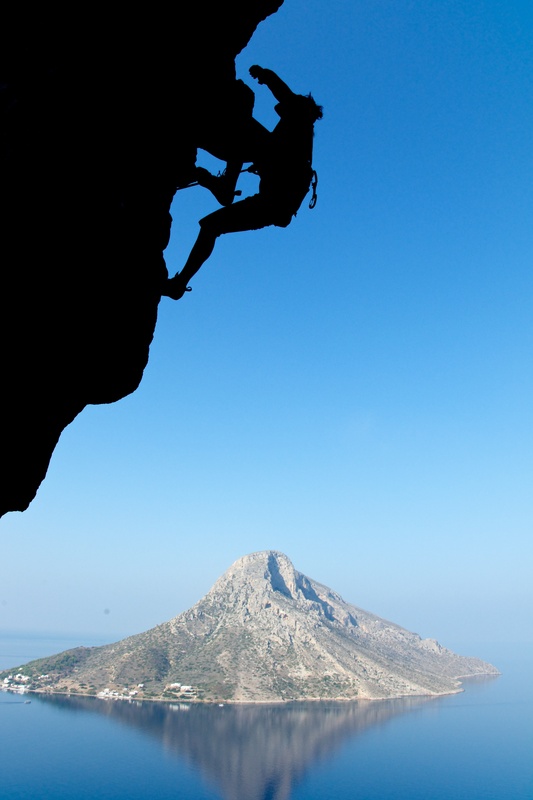 And like its landscape, Kalymnos is a tough little island. For centuries this island was invaded and taken over by outsiders. First the Persians, then the Romans, the Arabs, the Ottomans, the Italians, and the Germans to name a few. Finally Kalymnos came under Greek rule in 1948. 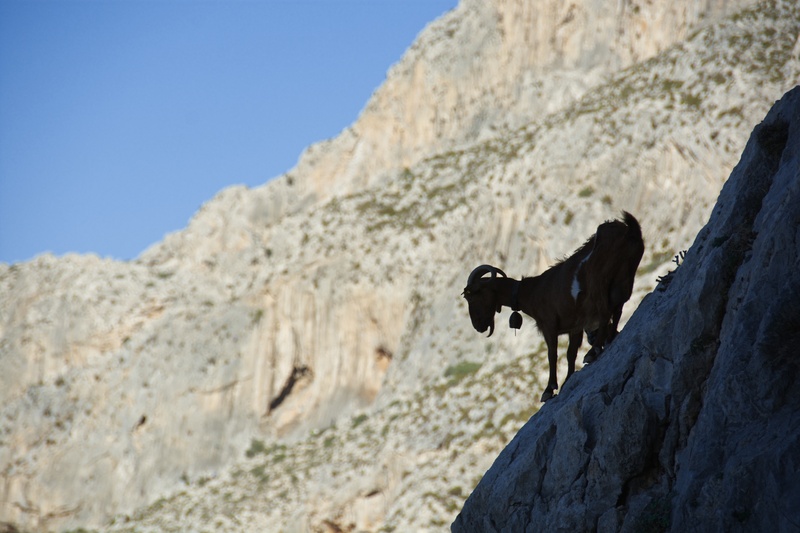 Today, Kalymnos faces an invasion of a different kind- one of climbers, capras (genus for goats), and cats. 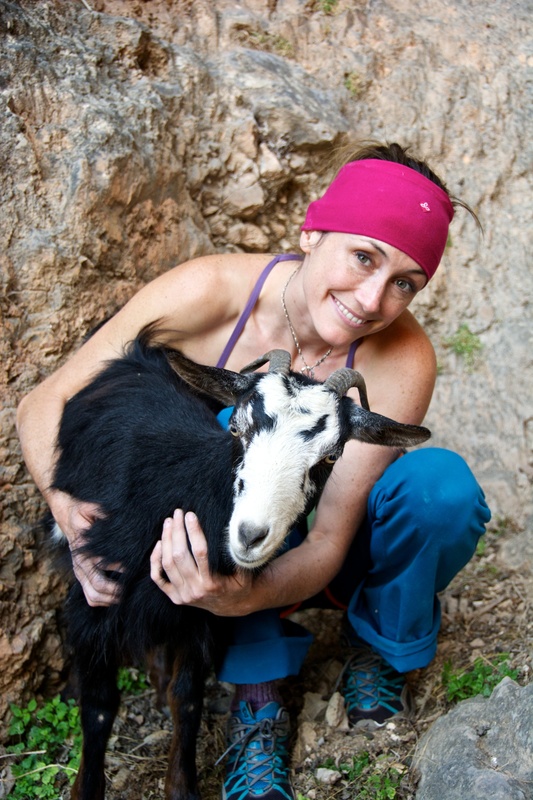 As a climber and animal lover, island life doesn’t get any better than this. Not only do I get to climb some of the most unique and fun routes in the world, I also get to have plenty of time hanging with four-legged friends in town and at the crag. And even though hundreds of climbers, capras and cats co-habitating within a few square kilometers sounds unbalanced, as odd as the combination is, it is surprisingly symbiotic here. 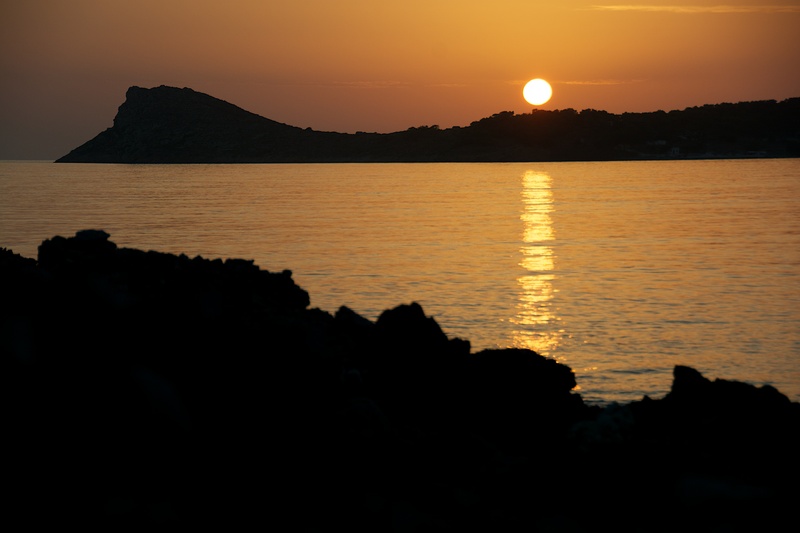 Kalymnos used to be one of the most prosperous islands in this region, mainly due to its renown sponge diving, but in the 1980s the trade declined. 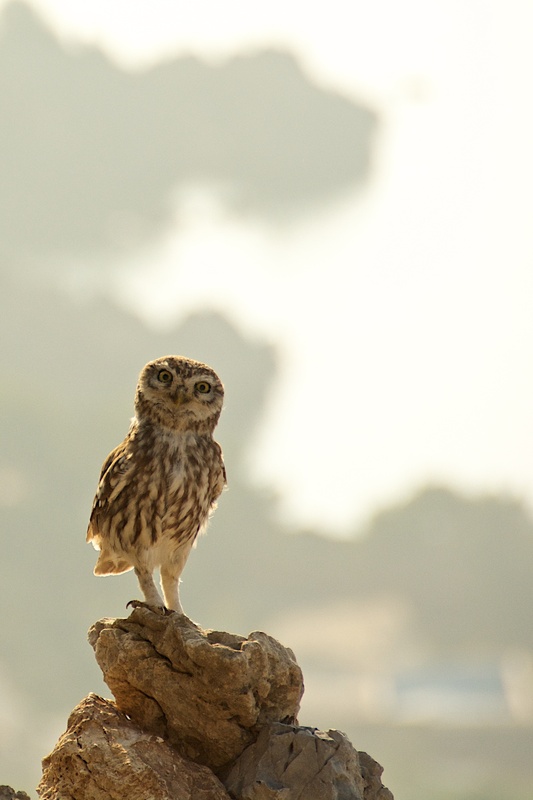 This island, along with the rest of Greece, has been faced with an economic crisis. 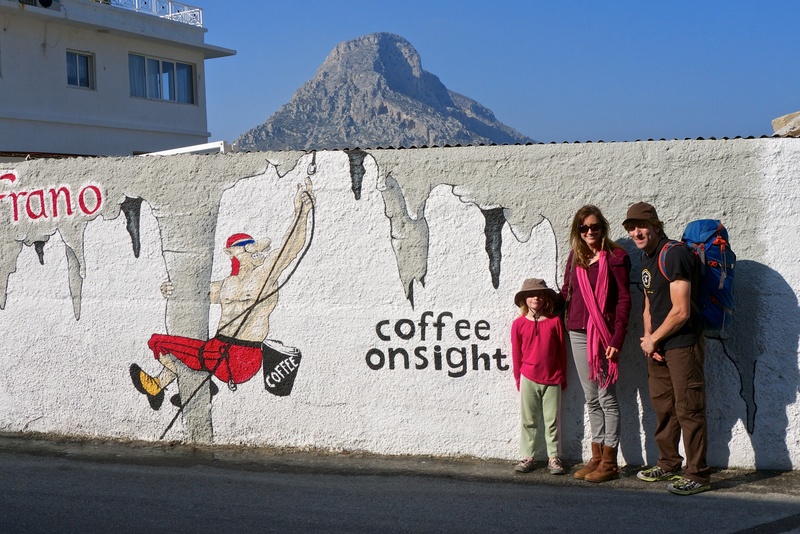 Thanks to climbers, Kalymnos has stayed afloat (so-to-speak). 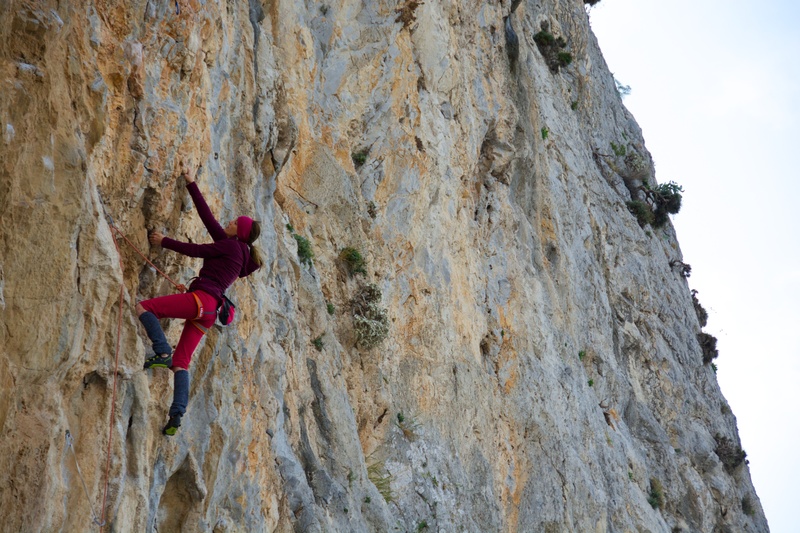 Many locals have been able to avoid unemployment by catering to the needs of tourists- most of whom are climbers. This island appears tough from the outside, but once you’re living there its amazingly plush in a number of ways. The warmth of the locals with their cozy accommodations, the delicious restaurants, the snuggly cats around every corner…heck- even the climbing grades are soft. 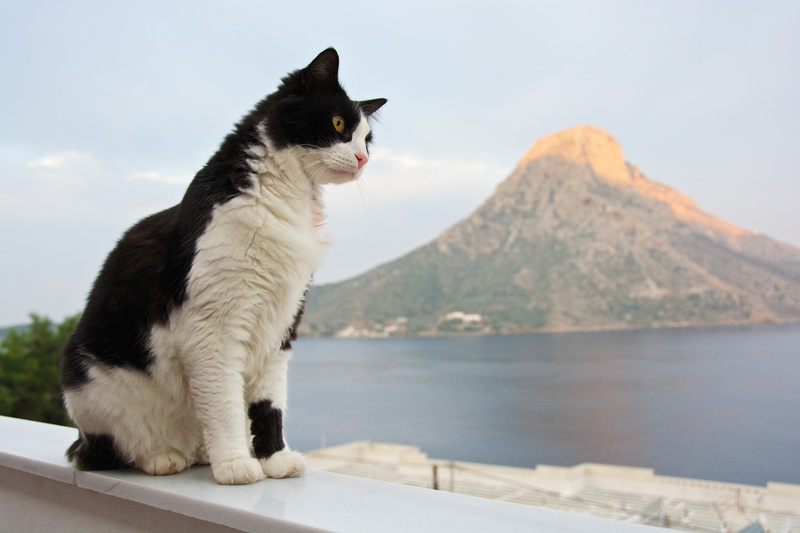 Kalymnos reminds me of the 200 pound man that would walk into the vet hospital covered in tattoos wearing a muscle shirt carrying his 5 pound chihuahua- rough on the outside, soft on the inside. The contrast is compelling. It sure is tough to leave this place. Chris and I decided to stay here an extra month instead of cruising around Spain. 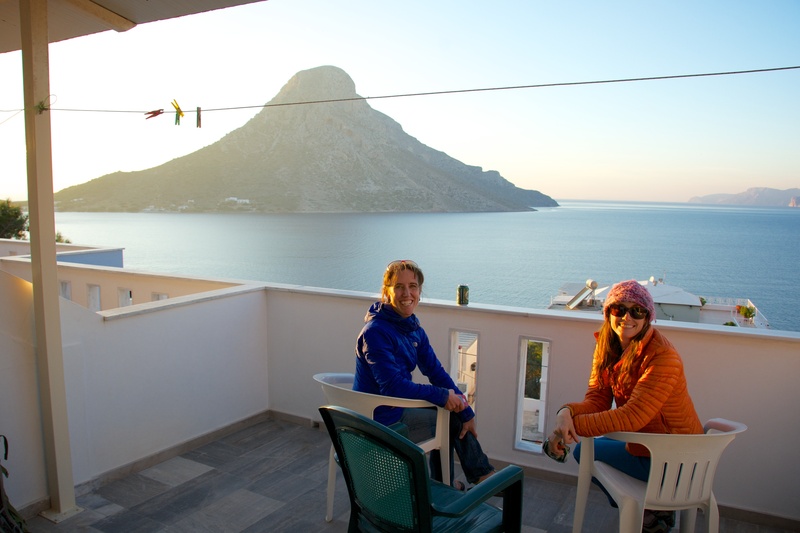 Three more weeks here in Kalymnos and we will be off to Turkey! Hope you enjoy some of these photos courtesy of Chris Weidner:). Maudi the cat that put me to work. He had a ruptured abscess on the side of his neck that we healed up with daily antibiotics and flushing. 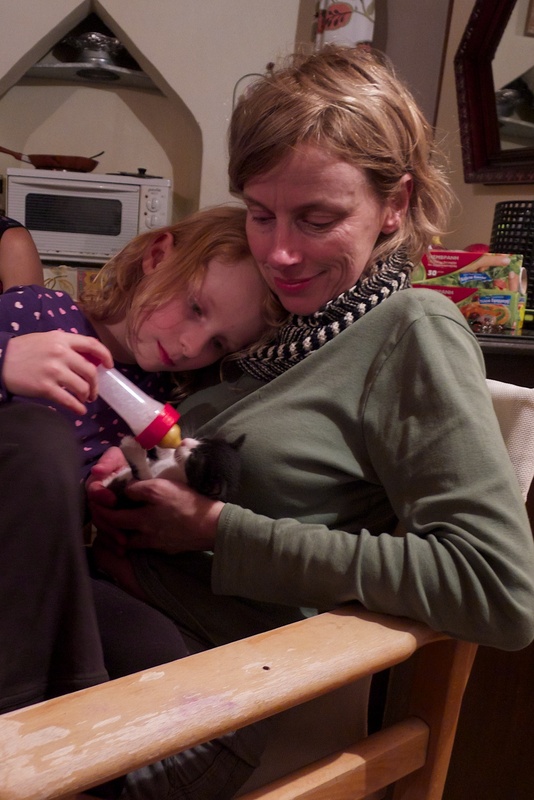 Our friends Michelle and Uli bottle feeding our adopted kitty named Pinky. Cath saved him from a dumpster when he was just a week old. He’s now hanging with Chris and I, and is about 5 weeks old. He’s doing great! Go teamwork! A rare low gravity day where Chris, Bruce, and I all sent our projects. Force fields down! 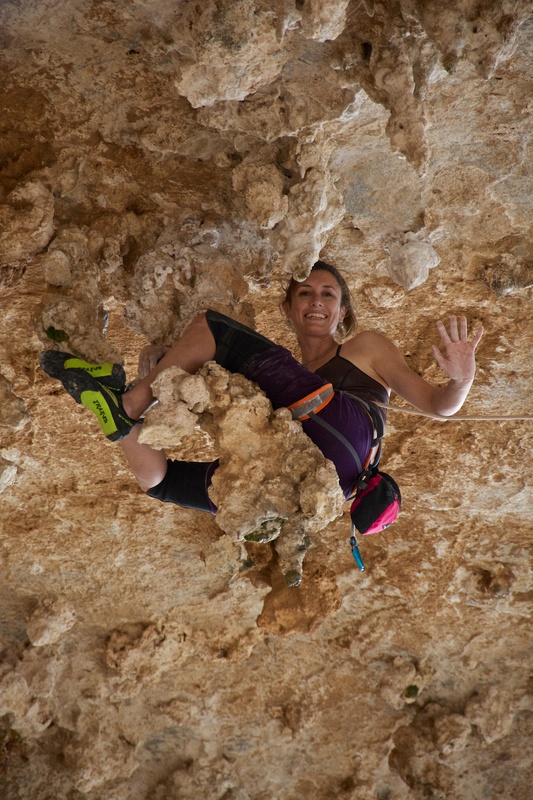 Is this really rock climbing? I love tufas! This is awesome, Heather! I’m so jealous. I’ve wanted to explore islands in the Mediterranean. What other islands is Kaylymnos close to? Patmos? I’ve always wanted to go there too. Love this! Careful with the goat snuggles, I was playing with a goat in Italy and he got a little too excited and peed all over me. Can’t wait to see you guys in a few weeks! Oh no! That is dreadful- they are so smelly! Thanks for reading! 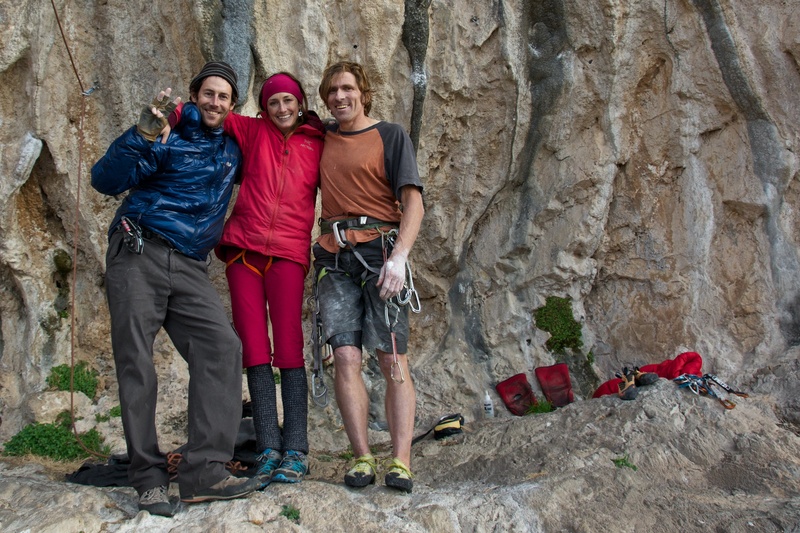 I am so excited to climb with you guys soon! xoxo! H RO!!!!!! Glad to see you guys crushing and hugging goats. I bet that Chris did not touch the goat. Just a guess. See you at the Paisley Palace!!!! LOVE!!!!! Hi friends, Just found this site by accident and was so happy to see Maudi. Heather your help was soooo good. Thanks again for all the love you gave to my old buddy. I’ve seen him last week…oh my God…he is getting more and more fat…like Lambros himself! Oh my goodness! It is so good to hear from you and we absolutely love Maudi. Thank YOU for giving him (and all the kitties) loads of love! We sure miss Kaly- it is a magical place. All the best to you always and hope to see you again soon!